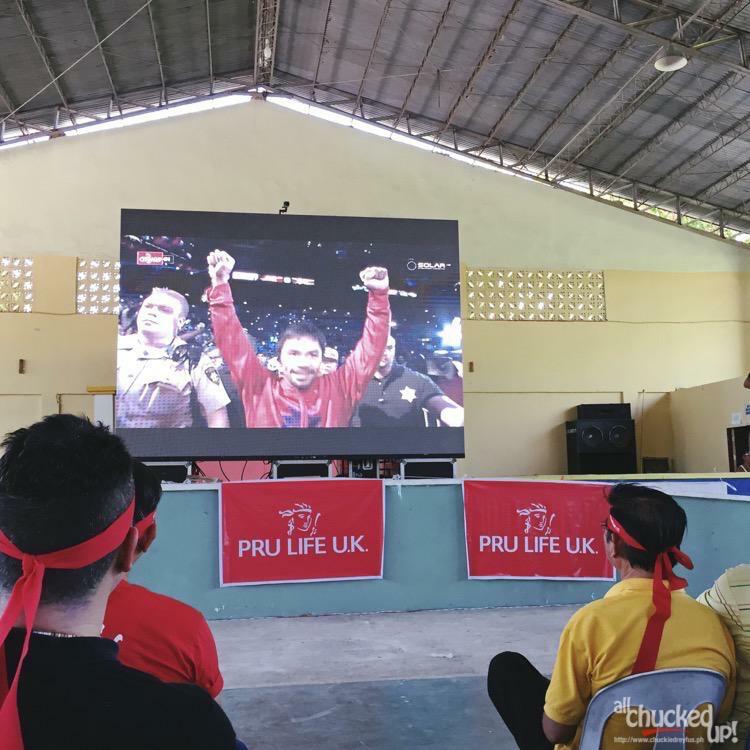 Pru Life UK salutes every Pinoy fighter by bringing the "Fight of the Century" to Bantayan Island, Cebu and 7 other communities - All Chucked Up! 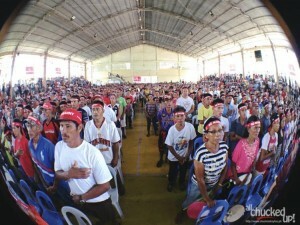 The Filipino spirit is undeniable. 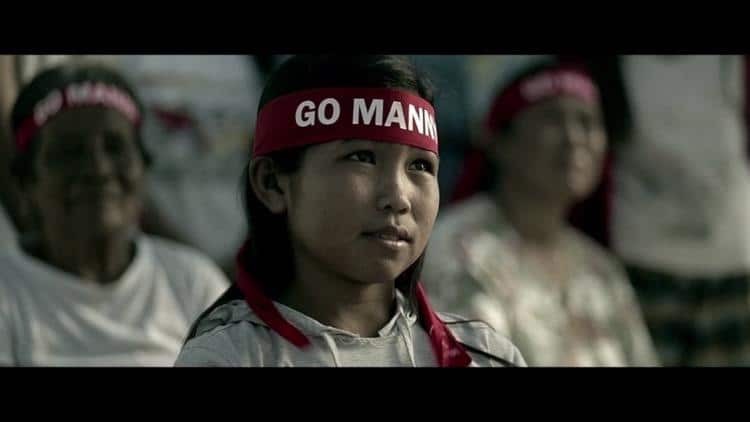 People from all walks of life the world over have seen the resiliency, strength and positivity Pinoys are known to possess regardless of whatever challenge lies ahead. This admirable character is perhaps never more evident, in my opinion, than when Typhoon Yolanda (international name: Haiyan) hit our country just a couple of years back. The devastation this super typhoon left in its wake has been incomprehensible to the eyes of the world.. and yet, apart from the grief and pain that the international community have witnessed, they have also seen how strong our people are even when faced with seemingly insurmountable trials. We fall. We pick ourselves up. And we fight. Again. We never say, “enough”… and we hardly complain. We just play with the cards dealt us and we press on. Manny Pacquiao best symbolizes this incredible spirit that is innate in every Filipino. His struggle as a youth and the will power and persistence to fight on may be one of the reasons why we are drawn to him and his inspiring rags-to-riches story. 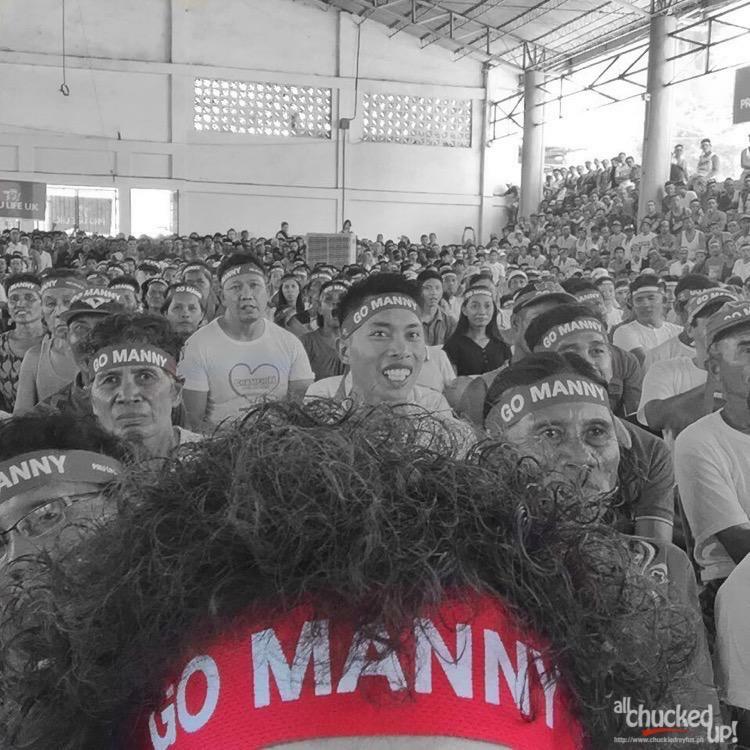 When Manny fights, the entire nation stops on its tracks and… even for just a moment, all our problems are forgotten… politics and differences are set aside and we are suddenly, once again, a united people. 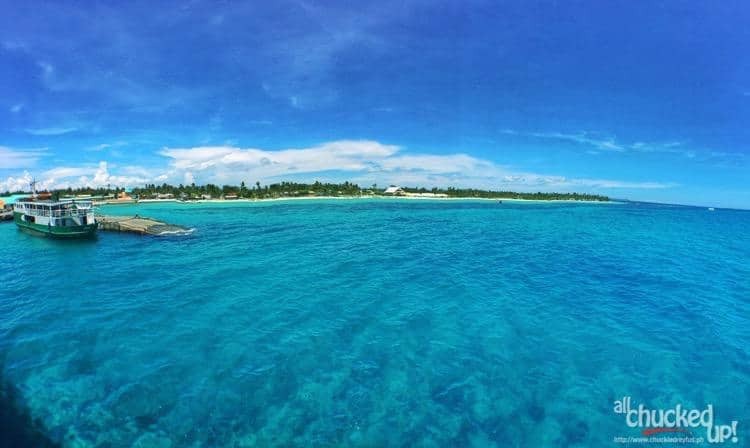 One of the many places still struggling to pick themselves up from the wrath of super typhoon Yolanda is Bantayan Island in Cebu. This place was one of the worst-hit islands in the country when super typhoon Yolanda struck the country in November 2013, claiming more than 6,000 lives. 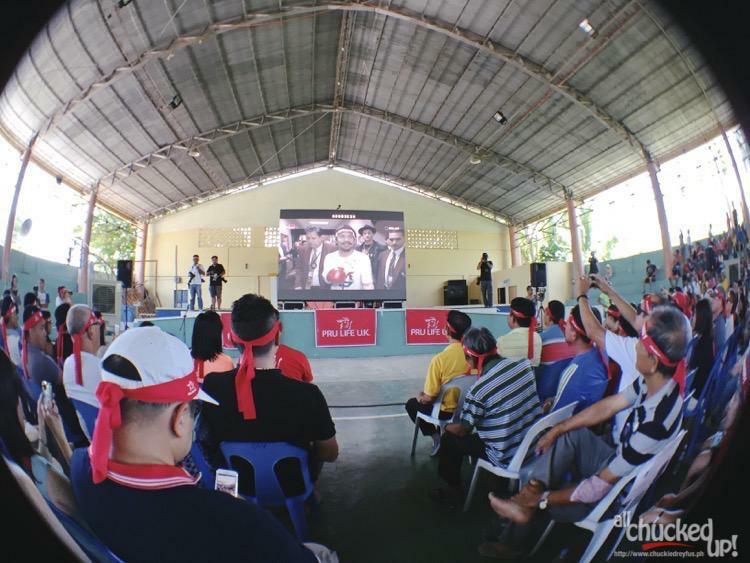 After almost two years since the destruction, the island, together with the affected provinces in the Central Visayas region, continues recovery efforts with the support of charitable organizations and Pru Life UK’s Prudence Foundation. The Foundation has provided livelihood and rehabilitation to the people of Bantayan Island for the past year; aiding almost 90 per cent of the population with their substantial needs. People here are still trying to pick up the pieces and rebuild what was lost. Life is difficult. But you can also catch a glimpse of hope when you look into their weary eyes. As they offer a sincere smile your way, it feels as if they are shrugging away all hints of hopelessness and despair. 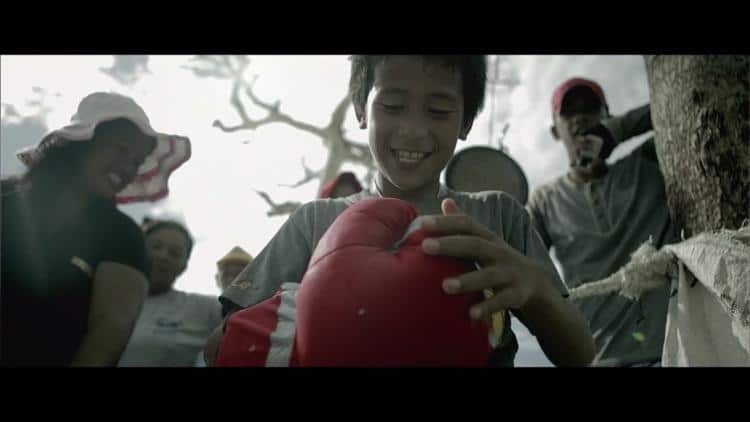 It is because of this wonderful example of strength and determination that life insurance giant, Pru Life UK, has decided to salute every Pinoy fighter and recognize the hardships most of our Filipino brothers and sisters go though due to natural calamities. 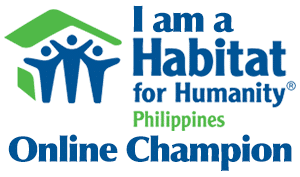 And what better way to salute every Pinoy fighter than by bringing the “Fight of the Century” between Manny Pacquiao and Floyd Mayweather, Jr. to many who have never before had such an opportunity, particularly those who are still recovering from super typhoon Yolanda. Pru Life UK brought live coverage of the Pacquiao-Mayweather fight to 10 communities in Bulacan, Nueva Ecija, Batangas, Quezon, Albay, Aklan, Cebu, and Northern Samar. The live screening in Bantayan Island drew nearly 7,000 viewers. In the 10 communities, an estimated 27,800 watched Pru Life UK’s live screenings. 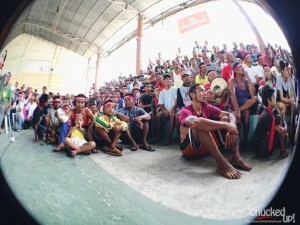 On Bantayan Island, the match was aired in three municipalities – Santa Fe, Madridejos and Bantayan. 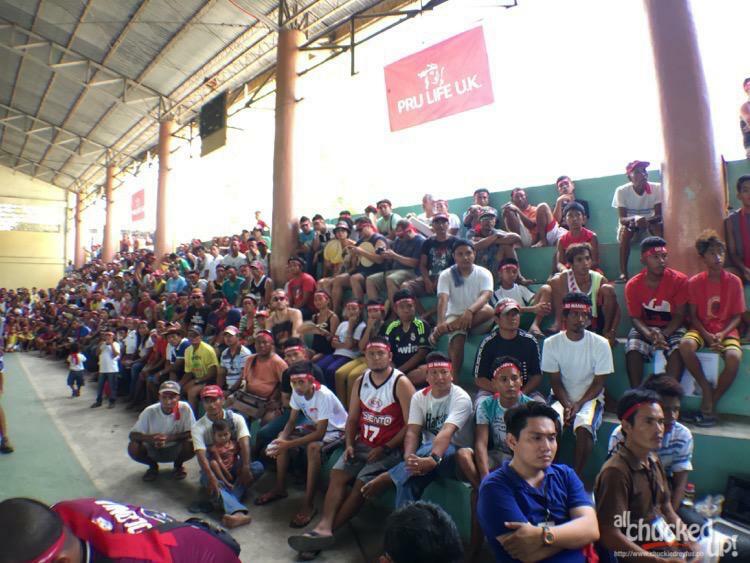 Through this initiative, Pru Life UK is continuing its long-term commitment to its rebuilding and recovery efforts in the central Philippines following Yolanda’s onslaught back in November 2013. 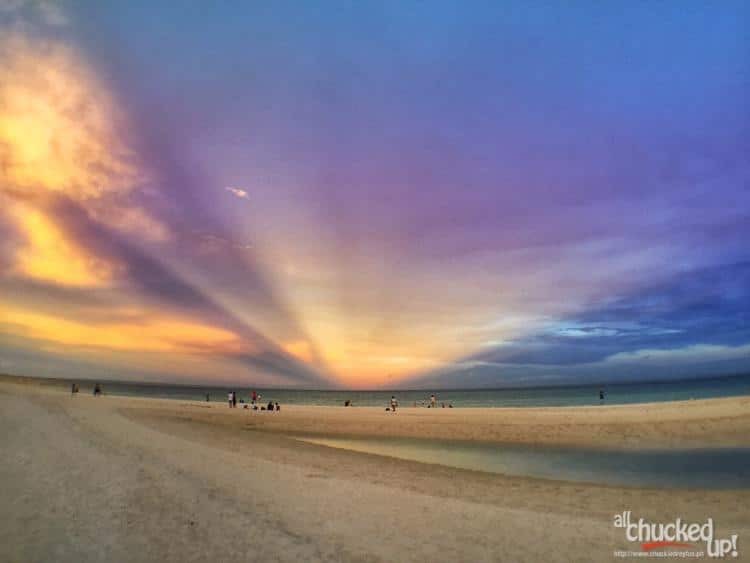 On Bantayan Island, Pru Life UK and its charitable arm, “Prudence Foundation” has helped rebuild houses and shelters and has provided new motorized fishing boats and pedicabs with nearly 250 staff and agent volunteers from 10 countries across Asia and the United States. 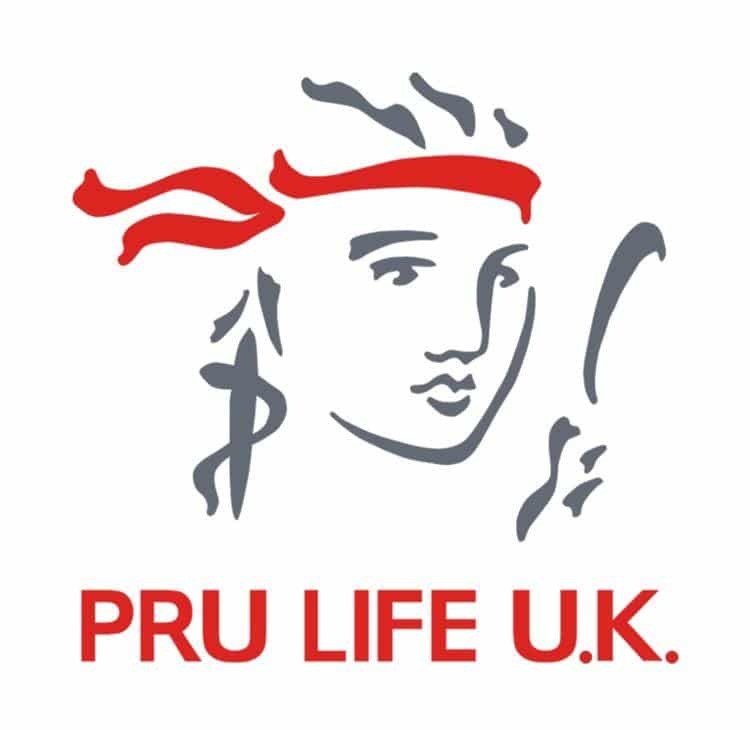 Antonio Manuel de Rosas, President and CEO of Pru Life UK, said that they wanted to lift the spirits of those fighting to recover from the devastating typhoon. 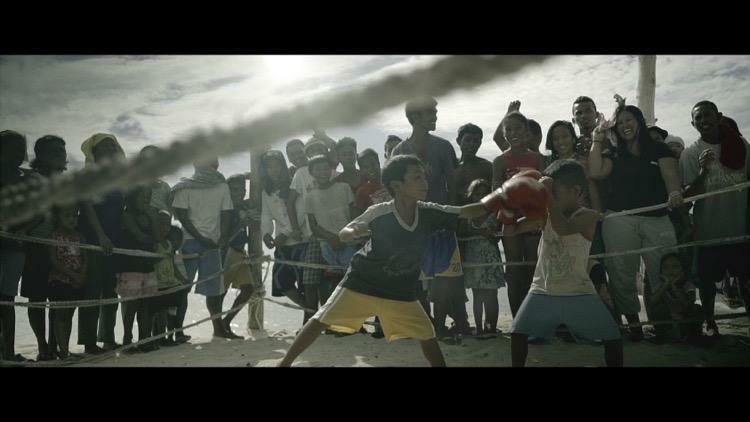 They are excited about the fight, but more than that, Pru Life UK is inspired by every Filipino fighter from all walks of life. They saw the opportunity to bring the fight to those who do not have access to it and are overjoyed to be able to connect them to the rest of the world as everyone cheered for the “People’s Champ”. 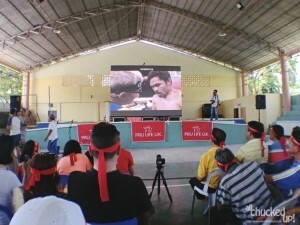 I was fortunate enough to join Pru Life UK in Bantayan Island, Cebu as they prepared free viewing access to the people of this amazing province. 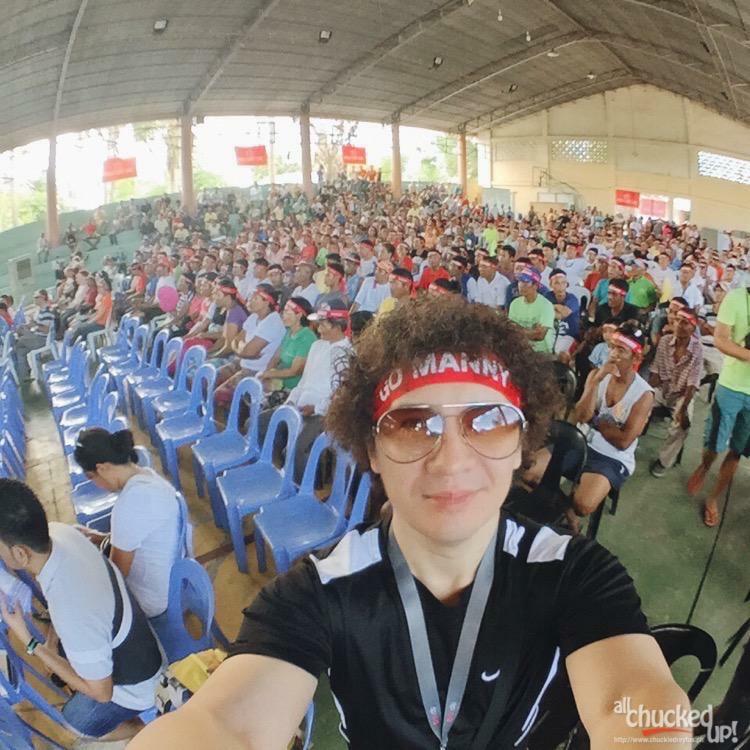 You can tell that practically everyone in Bantayan Island was looking forward to this awesome opportunity as they filled the Santa Fe Sports Complex, eager to see their hero. 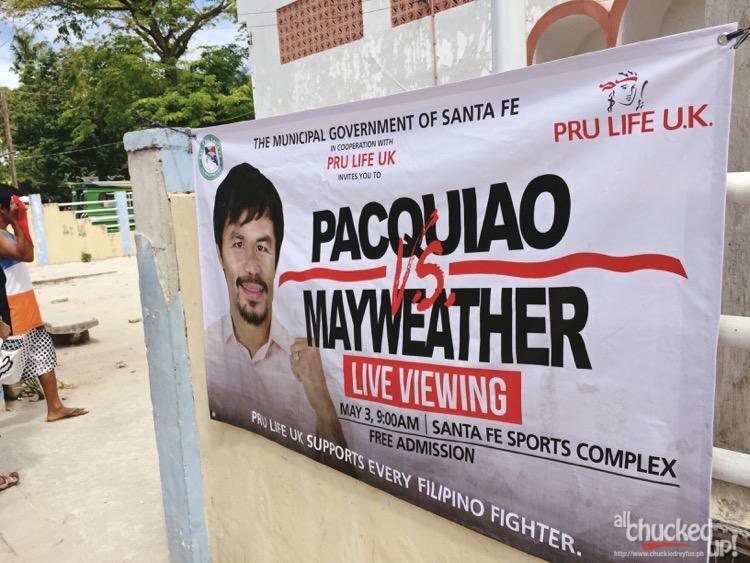 It was an unforgettable experience being one with the people of Bantayan as they anxiously awaited the entrance of our Pambansang Kamao and go toe-to-toe with Money Mayweather. You could feel the intensity even hours before the actual fight. 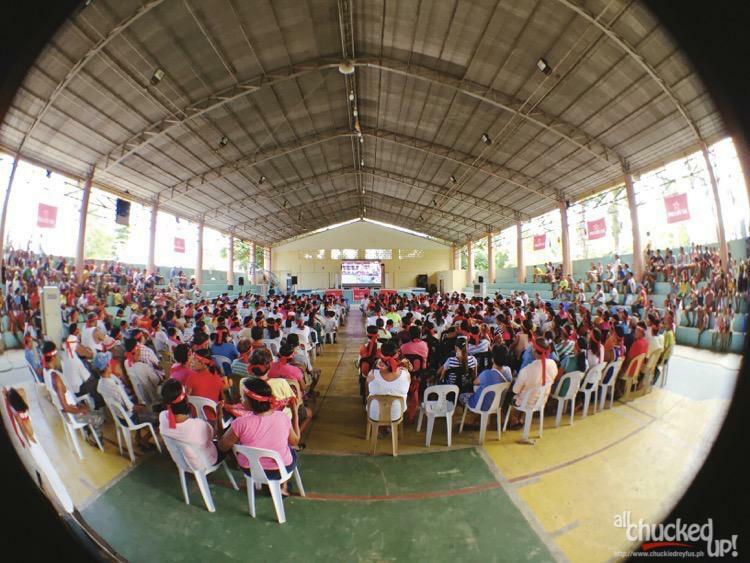 During the undercard bouts, every time Manny Pacquiao was shown on the big screen, whether it was a replay of a previous fight or a backstage shot of him getting ready for battle, the crowd inside the Santa Fe Sports Complex would cheer and scream. It was intense! 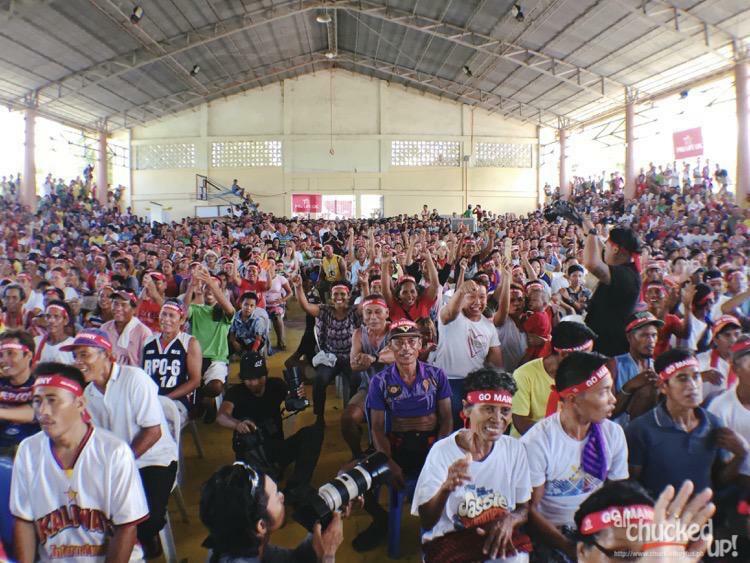 For all 12 heart-stopping rounds, the people of Bantayan Island were cheering at the top of their lungs, jumping for joy and gasping with every powerful punch Manny threw against Floyd. 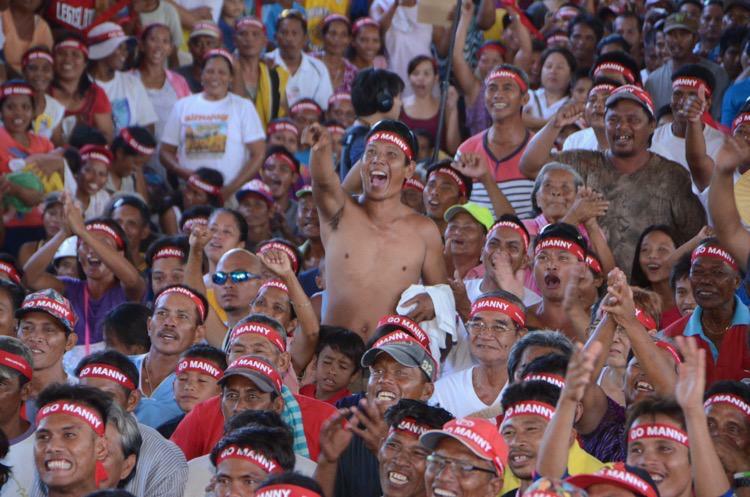 I was able to witness the joy in the eyes of the people of this province and see how one man can raise the spirit of every single hardworking Filipino. It was a sight to behold knowing that these humble Cebuanos were given more reason to hope and to continue the good fight. 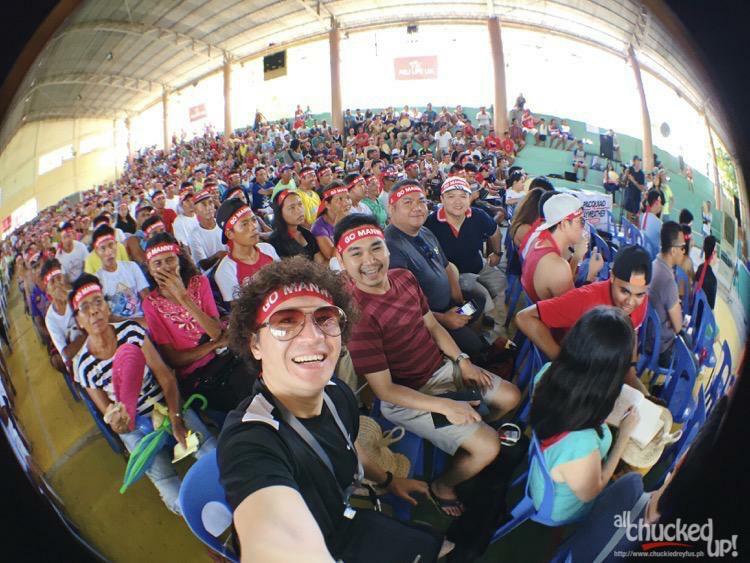 And though, in the end, Manny Pacquiao lost to Floyd Mayweather, it was apparent to everyone, not just in Bantayan, but all over the world, that the People’s Champ gained more respect and love by holding his head up high, giving it his all, never holding back and keeping the faith. Truly, a valuable lesson in life for everyone who witnessed the fight. As they head out of the sports complex, back to reality, returning to their own personal battles, perhaps the biggest “take home” the beautiful people of Bantayan Island can keep in their hearts and minds is that, in life, falling down and getting hurt isn’t the end all and be all of everything… so long as you muster the courage to stand up and fight on. It is how one takes on the challenge and carries himself during difficult times that brings so much more respect, love and admiration. 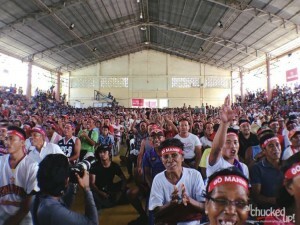 It is because of this lesson that Manny’s defeat becomes a resounding win for every Pinoy fighter. Thank you, Pru Life UK, for being one with every Pinoy Fighter and for uplifting the resilient spirit of Filipinos all over the country. 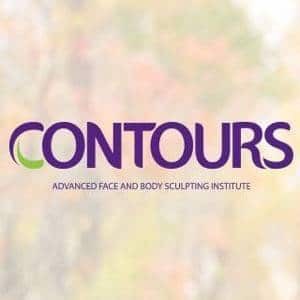 For more info about Pru Life UK, visit their official website.